Welcome to my updated coaching page and thank you for taking the time to read through the information I have provided. It is an exciting time for coaching. You may be asking yourself why, coaching has been around for years, what is the excitement? Well, let me tell you more about the Professional Coachng I provide, and then after you know more I can tell you all about the excitement and recent research. The referrals I receive encompasses a wide range of experience, I work with Ceo's, Directors, Senior executives, HR executives, security professionals, line managers, supervisors and teams. I have a very clear view and understanding of business dynamics and organisational politics, with much of my knowledge coming from personal experiences as well as formal training. The aims of my coaching, in line with your own aims, is to develop your mind set for success, and increase your performance, personal effectiveness, working with your personal needs, to your organisational goals, or even both. I provide an appropriate mix of challenge and support, promoting action with reflection and developing a mind for critical thinking, again with action. I can be working on anything with my clients, from fine tuning thoughts and planning for an important project, interview styles, to developing communiction and mediating between teams to create an effective, focussed and proactive approach. How to create trust in your teams. Develop your presence, fine tuning your style, acting with integrity, compassion and empathy. End procrastination and create a proactive mindset, that influences your teams to do the same. Raise your performance for challenging situations and demanding contexts. Be effective in conflict, mediation and negotiation. How to develop clear goals, track and achieve your outcomes. How to create rapport, lead and influence through your body language. Re-energising your mind-set for creative thinking. So what is the excitment and latest research? Well key findings that were presented at a recent Occupational Psychology Conference showed through a particular study that coaching had a more influential effect on peoples performance than the normal types of training. This was the same finding even when compared to the 360 degree feedback models. (Jones, 2014, British Psychology Association). In addition, what makes coaching effective is also your relationship with your coach. Trust, excellent rapport and tight focus on what needs to be achieved are key elements. These findings are important as any type of research that supports and provides clarity, can only help to bring more confidence to anyone that has or is looking for coaching sessions. From my experience I see and hear more organisations and individuals using coaching, sometimes it is about achieving what is required over a period of time, rather than a one off training workshop. For example, coaching focusses on, moves and develops your personal responsibility and competencies in the direction you are looking for. I have many clients who are working on large projects and we meet once per week for their coaching sessions. Some clients after an initial set of coaching sessions, drop back in from time to time for one off coaching sessions. To gain deeper insight and understanding regarding either a particular piece of work they are completing or a personal competency. Additionally, clients come to see me for lifecoaching at my practice in Eastleigh Hampshire, lifecoaching includes a broad range of areas, including career change, promotion, parenting, work and life balance and relationships to name just a few. So.. Coaching is all about, flexibility, creativity, imaginination in your mind, to also be looking and listening to the effectiveness of the finer detail, of your desires, thinking processes, presense, style and proficent habits of action. 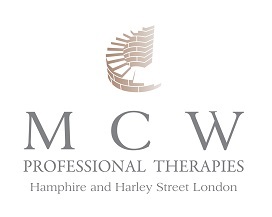 I also include NLP into my therapy work, utlising your resources to work in the most swift and efficient way possible. For example, I am extremely sucessfull in diminishing unwanted panic and anxiety attack symptoms and establishing very quickly, highly effective strategies that you are able to put in place of the panic and anxiety attacks and its symptoms. If you want to find out more about how I do this and to be free from unwanted anxiety, please contact me for a consultation. Also have a look at my home page to review just some of the other successful areas I work with using NLP. Hampshire, Eastleigh NLP, life coaching, anxiety attacks and panic treatment. Success can be achieved in a very short number of sessions.